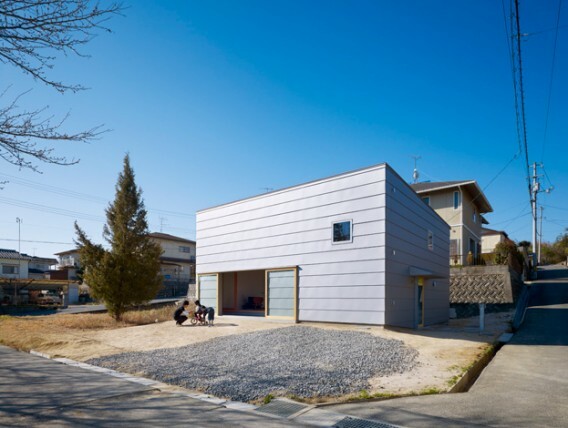 Located in Hiroshima, Japan, this house has quite the minimalist and modern exterior, but head inside and the you’ll discover a traditional tamped earth floor. 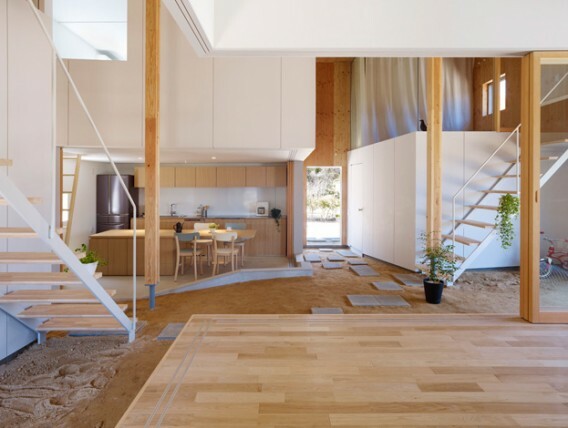 Japanese architect Makoto Tanijiri of Suppose Office created it with natural local materials for a rustic, earthy effect. 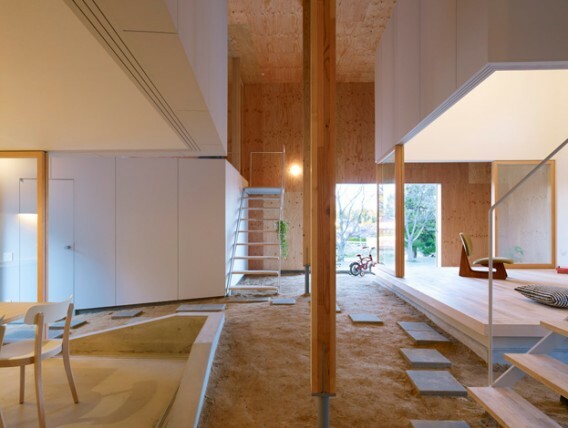 The home is filled with sliding walls and windows and traditional, simple materials, allowing residents to easily fill the space with their own furniture and belongings without worrying about the current style. He used white surfaces, wood, and multiple levels to create a flexible, comfortable atmosphere. The traditional floor is affordable, made of local materials, and keeps the space warm in the winter and cool in the summer. 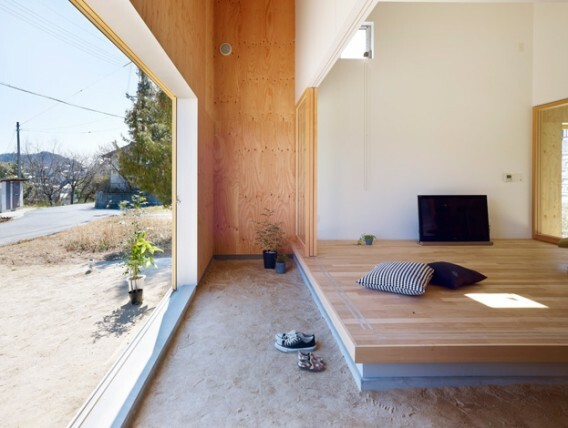 It is virtually effortless to install, and yet another example of how we can use our natural outdoor materials to create a cozy, minimalist living space that is still close to nature.